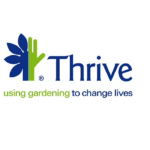 In November, horticultural therapists from Thrive Birmingham will start a gardening programme for prisoners with a mental illness at HM Prison Hewell. Funded by *Health in justice, Thrive will work with prisoners with mental health support needs in the prison garden once a week for a year. Amanda Fields, regional manager for Thrive in Birmingham, said: “The prison already has a good outside space and we are looking forward to working with inmates who are not in the best of health, helping them reap the benefits structured gardening can bring. “We will be working in small groups and the prisoners who are part of the programme all have specific mental health support needs. Allowing the prisoners to have a choice in what they want to do and who with can help improve relationships, and can be especially powerful in an outdoor setting. Some of the outcomes Thrive expects to see over the 12 months include improvements in physical health and fitness levels from tidying the garden, digging, weeding and raking. Planting autumn or spring flowers in borders or pots shows creativity and taking pride in this task will result in instant gratification and a feeling of accomplishment and achievement. This therapeutic value and feeling of wellbeing that people get from gardening, growing food and the outdoor environment has a strong and positive impact on out physical and mental wellbeing. Harvesting vegetables that have been grown from seed promotes fitness, self worth and achievement leading to improved self-esteem. Sowing seeds and eventually potting them on improves concentration and teaches new skills. It can also help with numeracy and literacy as seeds are counted and plant labels written. Watering and caring for plants during the summer months encourages responsibility, shows focus and motivation and by making sure they are growing well will lead to satisfaction. Thrive has worked in secure settings before and research from this period indicated that rehabilitation and personal development are the two main functions of horticultural activity in secure settings. Work skills training and social development were also seen as important factors. The context of confinement is a powerful influence on perceptions of activities. In the past, participants described some of the emotional benefits that they had experienced; a clear message was the difference between the experience of being confined indoors and being outside in a work environment. Thrive is also looking for volunteers to help with this programme. Volunteers would need a DBS check and satisfy the relevant security conditions imposed by the prison. Please contact Thrive Birmingham on 0121 293 4531 or email birmingham@thrive.org.uk if you are interested. *Heath in justice is the UK’s leading independent provider of health services in prisons, sexual assault referral centres and youth offender establishments.